In an interview with Swedish Newspaper Aftonblat, the newly minted Team PokerStars Pro Viktor Blom –better known as isildur1—talked about his recent history as a high-stakes poker player, and his roots as a poker player. This shocking admonition that he had no idea there were player’s better than he was may help put a finger on why he continued to challenge the Full Tilt Poker nosebleed players, despite suffering massive losses. 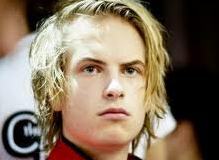 Playing under the now infamous handle of Isildur1, Blom first started playing on Full Tilt Poker in late 2009 and quickly went up almost $5 million; Blom quickly gained a cult following with his penchant for big stakes, and big pots –having been involved in the 10 biggest pots in online poker history—and his willingness to multi-table against Tom Dwan, Patrik Antonius, Phil Ivey and others, AT THE SAME TIME! He would go on to lose that $5 million plus a couple million of his own money, most notably to Brian Hastings in a session that would see Blom drop $4.2 million to the Full Tilt Poker pro and Cardrunners instructor. This entry was posted on Friday, January 14th, 2011 at 11:45 am and is filed under Poker News. You can follow any responses to this entry through the RSS 2.0 feed. You can leave a response, or trackback from your own site.